Rancho Obi-Wan is a registered charity through eBay Giving Works and PayPal Giving Fund. There are two ways in which you can support Rancho Obi-Wan through eBay. First, is by choosing to donate a portion of your eBay listing proceeds to Rancho Obi-Wan; second, is to add a donation amount to any purchase through PayPal at checkout. 3. On the right side of the page you should see the Rancho Obi-Wan logo and description. Click the “Select” button on the right side. 4. 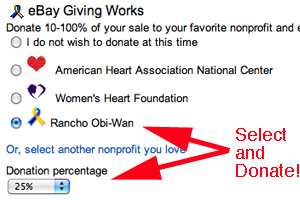 Back on your listing page you should now be able to select Rancho Obi-Wan and choose a percentage of the sale you wish to donate. Every time you pay with PayPal after an eBay purchase you have the option of donating any amount, starting at $1.00, to your favorite charities. 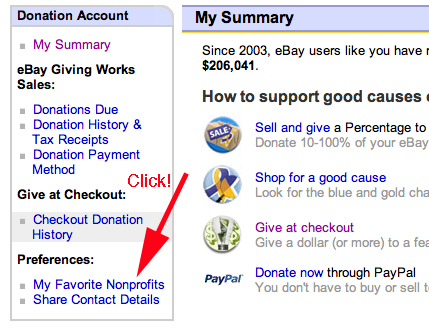 You must add these charities to your profile in My eBay otherwise you are given a charity chosen by eBay. Here’s how to add Rancho Obi-Wan. 1. After logging in to eBay, click “My eBay” at the top right of the web page. Hover over the “Account” tab, pull down the menu and select “Donation Account”. 2. 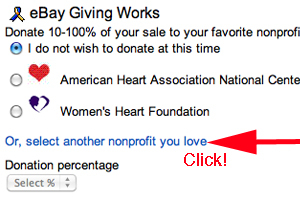 In the left toolbar labeled “Donation Account”, click “My Favorite Nonprofits”. 4. You should see Rancho Obi-Wan in the results list. Click “Save as Favorite”. 5. 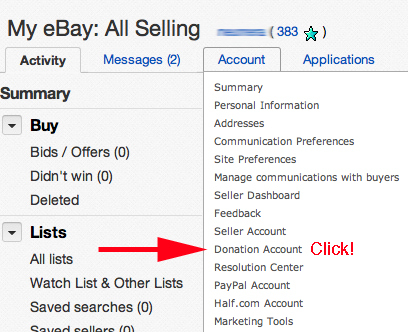 Now, when you checkout from eBay using PayPal you should see something similar to the screenshot below. 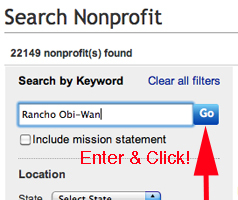 Check “Add a donation to Rancho Obi-Wan” and select an amount from the dropdown list. Every dollar helps!